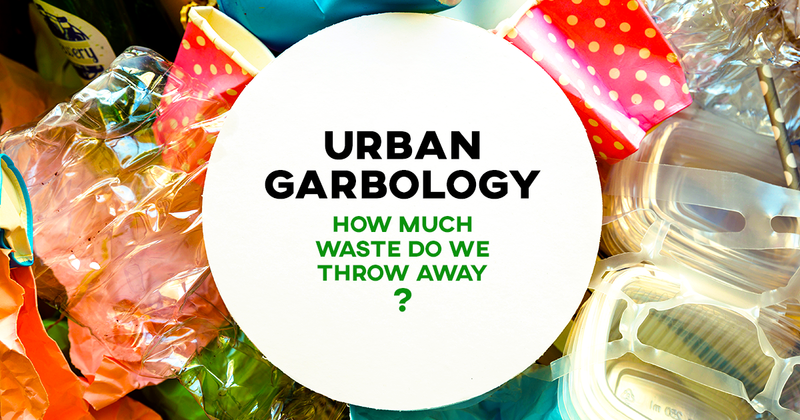 Urban Garbology: How Much Waste Do We Throw Away? When we know that New York Times had published the article named We Are What We Throw Away, we cannot but wonder – are we made out of tons of plastics, cardboard, electronics, and food leftovers? Let’s face it – we live in a throw-away consumer culture and we usually do not stress much about it. But, if we truly are what we throw away, does that mean that our surroundings are going to be swallowed by a big, bad pile of non-degradable objects, along with toxic materials infused where least expected?!? Or do we know better than that? We don’t need to become zero-waste gurus all of a sudden, but it would be helpful if we could all just stop and think for a moment – how much waste do we really throw away? And where do we dispose of it? If we become aware of the importance of a proper waste management, then, maybe, we might stop polluting our land, our waters, and our beloved planet. We are going to tackle these issues in this article, while taking a closer look at the household garbage disposal, municipal waste collection, garbology issues, and more. Let us see what we are dealing with. “Garbage doesn't lie”, reads before-mentioned New York Times article, published way back in 1992. The text follows the research of anthropologist William Rathje from the University of Arizona, the one who actually started the garbology as an academic discipline. He is also a co-author of the Rubbish! project together with Cullen Murphy. Their main argument was that one could tell a lot more about someone by going through their home trash than by talking to them. Turned out they were right. The Rubbish! project started in 1973 and became a great source of data on changing patterns in a modern way of discarding the trash. Except answering the question how much things do we label as useless and worthless, some other questions raised – where do the garbage end up, and how much degradable some of the items really are? Garbology became an ever-evolving study of modern refuse and the way we choose different types of trash cans, bins, containers, and various types of waste compactors. Urban garbology is what we would call a developed system for the municipal waste management. It also refers to the communal sorting, separating, recycling, and disposal on a landfill, reflecting the community's commitment to sustainable practices. How much waste do we produce? According to Edward Humes, a Pulitzer Prize-winning journalist and an author of the book Garbology: Our Dirty Love Affair with Trash, each of us tosses around 102 tons of trash during our lifetime. That is 7.1 pounds per person per day, every day. On a global scale, right now we need 6 planets Earth to provide necessary resources for our consumption and absorb all of our waste. These are some of a stunning waste statistics, wouldn’t you agree? Having in mind all these facts, municipalities are more than interested in making systemic changes to the trash stream, leveling up their recycling strategies, and learning more about the various ways of waste collection. Garbology is on the front line here, ready to support those who wish for a more meaningful refuse, as a discipline that wholeheartedly embraces the zero-waste philosophy, along with principles of green living and sustainable solutions to build waste-free businesses. Where do we discard our waste? Are we all conscious about the amount of waste that we produce – from individuals to households to neighborhoods to cities’ authorities? When you think about it, the issue is not only about how much trash we produce, but also where do we discard it. The question that arises is: do we know how to choose the right type of waste containers? For different types of material, there are different types of waste bins and containers that need to be used. No one should simply throw away the paper, plastic, grease, glass, food and hazardous material together in one trash can. Everyone could do it, of course, and some still do exactly that. But it is not recommended. We simply shouldn’t non-selectively put all the garbage in one bin. Instead of that, municipalities might consider consulting professionals in the waste management niche, and getting to know all about the necessary wheelie bins, side-load containers, steel waste bins, systems for the underground waste collection, recycling bins, and other equipment they need to provide for a proper flow of the waste stream in their urban area. In environmentally aware communities, where recycling is mandatory, municipal authorities can create flow charts to track the trash streams. It means literary depicting the fate of every plastic bag, every diaper, glass bottle, coffee cup, a broken toy, or an old rug. By doing that, though, they manage only a slice of the municipal solid waste generated by residents, schools, hospitals, hotels, restaurants, various industries, and all sorts of local businesses. What can we do for a change? Right now, there is a giant mass of a plastic trash floating in the Pacific Ocean, spanning twice the size of Texas. That kind of pollution is inevitably affecting the hundreds of species in the marine life, and scientists struggle with finding the solution. Another rising problem is the methane in landfills as it is growing to the dangerous amount. One of the possible fixes would be using this gas to generate electricity. For starters, we can look up to successful practices. Portland, Oregon is considered to be one of the greenest U.S. cities, with high rates of sustainability, energy efficient buildings, clean transportation, and eco-friendly businesses. Currently, Portland’s authorities are considering implementing anaerobic digesters and plasma gasification that would efficiently decompose garbage. When it comes to innovative practices of waste management, we can find more good practices in Copenhagen, Denmark, which is the most efficient city in the world for that matter. There, only 4% of the urban waste ends up in the landfills. For a comparison – in the U.S. averagely 69% goes straight to the landfills. What do they actually do with waste in Copenhagen? They use it as an energy source. More precisely, trash is largely incinerated in the process used to generate electricity. And the result? Six out of 10 Danish homes are heated this way. If we aim at having a cleaner and greener future, we should take a moment and devour ourselves into thinking this through. The what, the how, and the where of our urban garbology can point out to the systemic flows, strategic weaknesses, and waste management pain-points. Can we use the findings the smart way and create better waste management solutions? Can we take garbology to the next level and make our living greener? We surely must try our best. And hopefully, we will succeed.